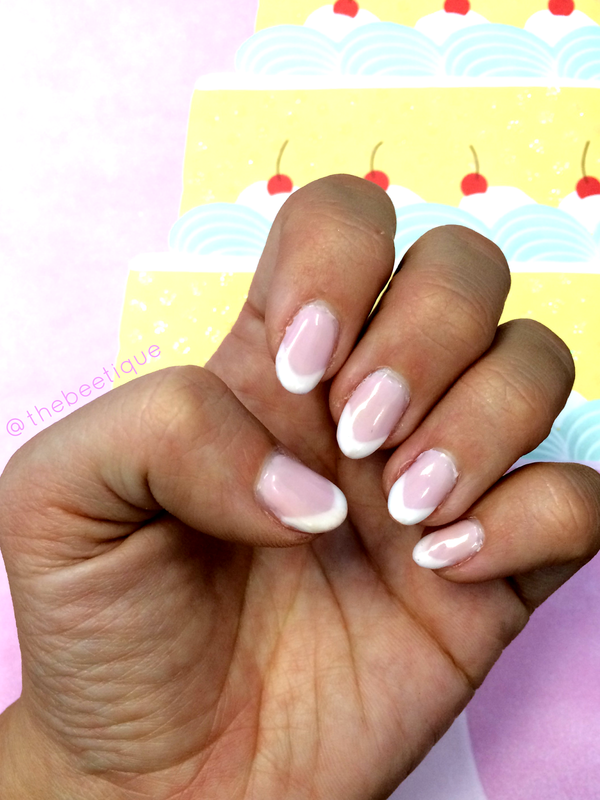 My *real* nails have officially grown long enough for appropriate almond shaped nails. That's right ladies, no acrylics were used in the making! Okay they're still short. But definitely long for natural nails! Gimme credit. I actually just meant to get a solid pink manicure, which is Dizzy Feet by Essie Gel. I dozed off and next thing I know, the nail lady is painting a white tip on my thumb. No clue why, but I let her do her thing, and I'm happy I did.